Ducati has issued a recall for 1,663 units of the Panigale V4 range in North America due to a potential oil-cooler issue. According to the documents filed with the National highway Transport Safety Administration or NHTSA, the oil-cooler on the Panigale V4, V4 S and the V4 S Speciale could crack during extreme usage, for example when doing hot laps on a racetrack. This problem was first seen on the European models of the Ducati Panigale V4 where the output port on the oil-cooler was seen to be leaking. The problem could be visible as a small oil leak on the oil-cooler. If the motorcycle doesn't have an oil leak, then Ducati recommends the owners to ride the motorcycle at low RPMs to the nearest dealership. Ducati will notify owners of the V4 range in North America and the recall is expected to begin from January 24, 2019. The dealerships will replace the oil-cooler free of cost for all owners. 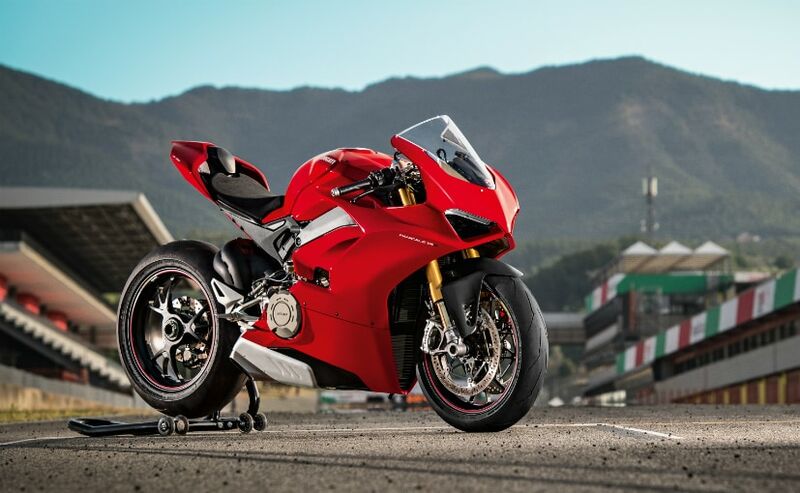 There has been recall issued for Ducati Panigale V4 in India so far. Earlier in the year, Ducati had issued a recall for 692 units of the V4 in the US due to an issue in the fuelling system. All three variants of the bike, which are the Panigale V4, V4 S and the top-spec Panigale V4R have been recalled. There were two reasons for the recall. The first one was because the internal breathing system valve plug on the Panigale V4 could have a fuel leak if the O-ring had been damaged during the valve plug installation process. Also, the grease on the O-ring made it even more difficult for the suppliers to detect the leakage during the quality tests. The recalled models which have the defective O-ring will be rectified by Ducati North America free of cost. The second reason for the recall was a faulty fuel cap. The fuel cap fitted on some models of the V4 did not vent properly in all sorts of weather conditions, which is a product of a combination of external temperature, motorcycle usage and the quantity of the fuel in the tank. This could result in an increase in the pressure inside the fuel tank. Subsequently, it could lead to fuel coming out of the tank when the cap was opened.